Ramgopal Varma has delivered several exceptional gangster films. As a matter of fact, RGV has made the maximum films in this genre, creating a rich repertoire over the years. SATYA and COMPANY stand out as milestone films, which have influenced and motivated a plethora of gangster films over a period of time. It’s no secret that these two films, besides RGV’s Hindi debut SHIVA, RANGEELA [a different genre, of course] and SARKAR, have propelled RGV as one of the most respected storytellers of our times. Obviously, one eyes SATYA-2 with equal enthusiasm for obvious reasons. But, let me clarify, SATYA-2 merely borrows the title from SATYA, but is no sequel to the trend-setting SATYA. The promos of SATYA-2 clearly specify that underworld never becomes redundant. It merely changes form. That, in short, is the essence of this film. Let me clarify, SATYA-2 bears no resemblance to RGV’s protégé Puri Jagannadh’s Telugu film BUSINESSMAN, like a section of the media would like us to believe. The plot is different and RGV makes sure even the screenplay is way different from films of its ilk. Just when everyone thinks that the underworld is defunct, Satya [Puneet] arrives in Mumbai to reinvent it and re-establish the mafia. His motive is simple: He wants to be the undisputed don of Mumbai. To start with, Satya floats a company based on the mistakes committed by the earlier dons and executes his master plan. He eliminates three influential people to unleash terror: a leading industrialist, the Police Commissioner and a powerful media baron. What happens next? Unlike the gangster films of the 1980s and 1990s, which integrated gruesome violence in the narrative, SATYA-2 is more about cerebral power, with violence being an offshoot of the conspiracy that the entrepreneur adopts. The protagonist is suave this time — unlike the earlier Satya — and uses the mistakes [committed by the earlier dons] to stay a step ahead of lawbreakers and lawmakers. The cops, obviously, are caught completely off guard, since everyone is clueless of the new criminal on the horizon, his strategies and motives. Like RGV’s previous endeavors, SATYA-2 is loaded with style and attitude. The plot too is shades different from the earlier films in this genre, with RGV moulding it in the thriller format and unleashing the screenplay at a feverish pace. The fact that SATYA-2 is not inspired by any of the gangster films attempted earlier keeps you on the edge and heightens the curiosity. But there are hiccups. The inclusion of songs is a blemish you just cannot disregard. Ideally, a film like SATYA-2 would’ve had a stronger impact if RGV would’ve avoided the songs. The songs only work as a speed breaker here. Even the one filmed in Kashmir, post Satya’s marriage, is an absolute no-no, despite some stunning visuals it has to offer. Similarly, the romantic track between Satya and his sweetheart is far from mesmerizing. Additionally, the culmination to the story will meet with extreme reactions. It’s an open end and while some may like the thought [I think, it’s most appropriate], the conventional types may be discontented since RGV maintains the thought with which he commenced the film: Underworld never dies, it merely changes form. Having said that, I’d like to add that SATYA-2 has several nail-biting episodes that keep you completely hooked. Also, to give the credit where it’s due, the writer does not suffer from SATYA hangover, which is a plus. The scenes are innovative, the screenplay is entrancing for most parts and the sequence of events keeps you drawn to the on-screen proceedings. The background score is effectual, while the cinematography captures the tension adroitly. Puneet Singh Ratn brings RGV’s vision to life. He springs a surprise, essaying a complex part with certainty. Furthermore, he looks intense enough for the part. Anaika [as Chitra] exudes vulnerability, but the conviction is lacking in her performance. Mahesh Thakur is top notch. Aradhna [as Special] leaves an impact. Amitriyaan [as Naara] is expressive enough. He does very well. Raj Premi [as RK] is wonderful, while Amal Sehrawat [portraying his son TK] stands out in the sequence when he persuades his father to defy Satya. Ashok Samarth [as Solomon] is first-rate. Kaushal Kapoor [as Purshottam] delivers a power-packed performance. Mrunal Jain is proficient in a brief role. On the whole, SATYA-2 may not be RGV’s best, but there’s no denying that it has the right elements that make a quintessential gangster film. However, the KRRISH-3 wave coupled with the arrival of another Superhero film [THOR: THE DARK WORLD] may affect its business prospects. 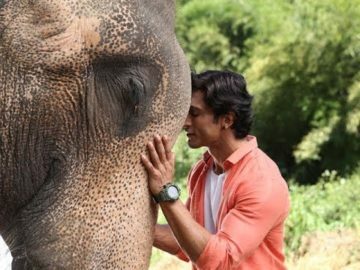 Rajeev Masand reviews this week’s new Hindi film Junglee, starring Vidyut Jammwal and directed by Chuck Russell. Sanket’s Review : “Jayantabhai Ki Luv Story” is a flawed fun. Satya 2 opened to a very dull response of around 5%. The film stands practically no chance at the box office. Krrish 3 continues to dominate but even if there was no Krissh 3 this film would have struggled. There was audience count in single figures at some Delhi multiplexes and Delhi multiplexes tend to start better than most other big city plexes. Satya 2 is a sequel/series to a film called Satya released in 1998, that film itself was a box office flop all over India apart from Mumbai and South so its beyond reason why a second film is made as results are pretty obvious even before release. The collections of Satya (1998) were very low outside Mumbai and South but Satya 2 will go one step ahead and be a total washout all over India. 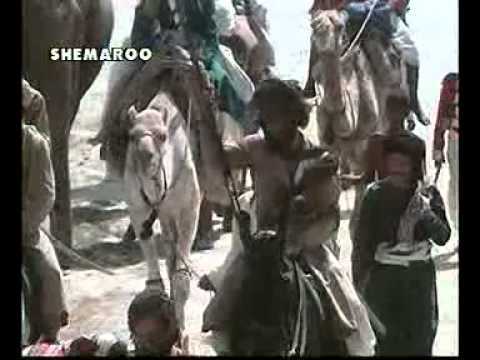 The film has already seen a release in UAE and the results were no different. Mammoth Media And Entertain­ment Pvt. Ltd. and LR Media Pvt. Ltd.’s Satya 2 (A) is a sequel of Satya. The underworld in Bombay has almost lost its hold on people, and Satya (Punit Singh Ratn) wants to exploit the situation. Hailing from a small town, Satya reaches Bombay and starts living with his friend, Naara (Amitriyaan), a struggling film producer on the lookout for finance for his first film. Satya joins forces with builder Lahoti (Mahesh Thakur) and gives him and his accomplice, underworld don RK (Raj Premi), an idea worth millions to establish the fear of the underworld once again. The idea works and, therefore, Satya overnight becomes a hero in the eyes of Lahoti, RK and others in the underworld. Satya then unfolds his bigger plan. He sets up a company like any other manufacturing or trading company. He announces in his group that the company will sell fear and extort money from and/or kill the rich and famous people including businessmen and media barons. He also makes it very clear that the company will not have a face. In other words, the company would spread terror but no individual, including himself, would take responsibility for it in a bid to establish his supremacy. Satya feels, the undoing of the past dons was their trying to spread terror by connecting their name with the terror. Satya’s company succeeds in unleashing terror and becomes a major embarrassment for the government. Ministers, businessmen, media persons and even top police officers are murdered by Satya’s company to establish its power. The police and the government are unable to nab anybody as no individual or individuals take responsibility for the crimes. Does the police force succeed in nabbing Satya, the mastermind behind the company peddling fear? If so, how? If not, why not? Radhika Anand’s story is full of holes and fails to create fear or terror in the minds of the audience. This is the biggest drawback of the film as it is about a company which has been formed with the purpose of making capital out of spreading fear and terror. Radhika Anand has penned a screenplay which is quite lifeless. For a film in which the underworld is shown to be rising almost from the ashes, it was of paramount importance that the audience felt chills down their spines as the drama unfolded but in this film, the viewer sits back disinterestedly, watching the proceedings without even a hint of fear. For, except for murders, there is nothing more happening. And the murders are shown to be so simply executed that the audience is far from scared. Besides, since most of the actors playing characters at the receving end are either newcomers or lesser-known actors, the impact of the terror of Satya and his company gets diluted even more. Had these characters been developed, even their lesser-known faces would have evoked sympathy but their characters are just not established. The pace of the drama and the pace at which Satya speaks are so terribly slow that they test the audience’s patience. Obviously, the writers and the director may have kept the pace at which Satya speaks his dialogues easy in a bid to establish how cool the sinister youngster is but rather than that getting established, the drama appears slower than it actually is and it bores the audience to the core. Equally irritating is the low pitch in which Satya delivers his dialogues. In contrast, the couple of scenes in which he mouths his dialogues very loudly just don’t create any impact. Also, Satya tells the police that his company’s activities were better than those of the police because the company was helping the poor. This comment looks like a lie because the audience does not really understand whether Satya and his company were helping the poor and the needy or serving their own interests. There is one more major defect in the screenplay. Simply by not giving the company a face, the writers have tried to establish that Satya has come up with a fool-proof formula to spread terror. But this cannot be digested by the public simply because it is aware of hundreds of criminal cases solved by the police with almost no hint about the criminal to begin with. What’s worse is that in the film too, the police at one point learns of the identity of Satya, the man behind the company. So, the viewer is left wondering what the big deal about having a faceless company was, in the first place. In other words, the very novelty of the drama is reduced to zero when the police crack the case and learn of Satya’s existence. All in all, the story and screenplay are kiddish and achieve no purpose – they neither succeed in spreading fear among the viewers nor do they entertain the audience. Radhika Anand’s dialogues are ordinary. Puneet Singh Ratn makes a confident but average debut. There’s nothing about his performance to make him stand out as the sinister character he portrays. In fact, his laidback style of acting and his slow and soft dialogue delivery come in the way of creating the right kind of impact. Anaika Soti is ordinary-looking but her acting, as Satya’s girlfriend, Chitra, is good. Aradhana Gupta does well in the role of Special. Amitriyaan also leaves a mark as Naara. Mahesh Thakur has his moments as Lahoti. 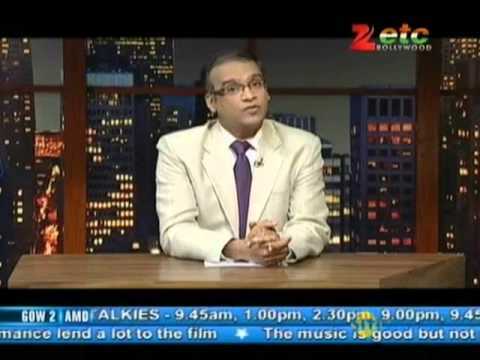 Ashok Samarth is quite good in the role of Solomon but he gets very limited scope. Raj Premi is effectively menacing as RK. Mrunal Jain (as police officer Abhijeet), Priya Gamre (as Abhijeet’s wife) and Sunil Shah (as media baron Gurdeep Rajdesai) leave their marks. Kaushal Kapoor (as Puru­shottam), Amol Sherawat (as TK), Vijay Kaushik (as ACP Bharti), Yousuf Ayub (as Sanghi), Vikram Singh (as Anna), Jiten Mukhi (as Malhotra), Allauddin Khan (as Sudhir Mahajan), Rajneshkumar Punwani (as Bajaj), Mukesh Padhya (as Abhinav Mittal), K.K. Doda (in the role of Shyam Jeth­gilani), Ravi Braroo (as Gupta), Kamal Khan (as JCP Waghle), Mrunal Khanolkar (as Lahoti’s wife), Iqbal Dossani (as police commissioner P.N. Singh), Hitesh Rawal (as Sunil Chandani), Jagdish Kansara (as chief minister), Mousumi Roy (as woman with garland), Pramod Kumar (as minister) and the others are okay. Makarand Deshpande’s commentary is too long and intruding. The Hindi used for the commentary also has many errors. Ram Gopal Varma is definitely not in form this time. His direction is far from impressive and not just because of the weak script. Music (Sanjeev-Darshan, Nitin Raikwar, Shree D. and Kary Arora) is routine and so are the lyrics (Kumaar, Nitin Raikwar, Moid Elhaam, Sonny Ravan, Shree D. and Kary Arora). Song picturisations, by Shabeena Khan, are ordinary. Shakti Karthick’s background music is not as effective as it ought to have been. Javed-Aejaz’s action and stunt scenes have no novelty. Vikash Saraf’s camerawork is good. Tarun Ahuja’s sets pass muster. Editing (by Jerin Jose and Prathap) is okay. On the whole, Satya 2 is not at all a worthy sequel to Satya. At the box-office, it will fail to perform. It has taken a dull start and there are very bleak chances of box-office collections picking up anywhere. Satya 2 collected around 30-40 lakhs nett all India with disastrous collections all over. The film collected just 2 lakhs nett in East Punjab and DUP is arond 5-6 lakhs nett. The collections in Mumbai will come in better due to the wider release comparatively to other circuits in the range of 15-20 lakhs nett. The film is a complete loser.